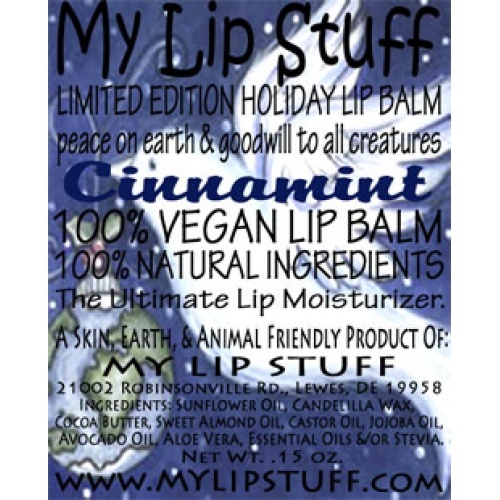 *Limited Edition HOLIDAY lip balm! Cinnamint: A blend of cinnamon & peppermint essential oils. Sweetend with stevia.